The Band of the Royal Newfoundland Regiment has been in existence since the start of The Great War, 1914. 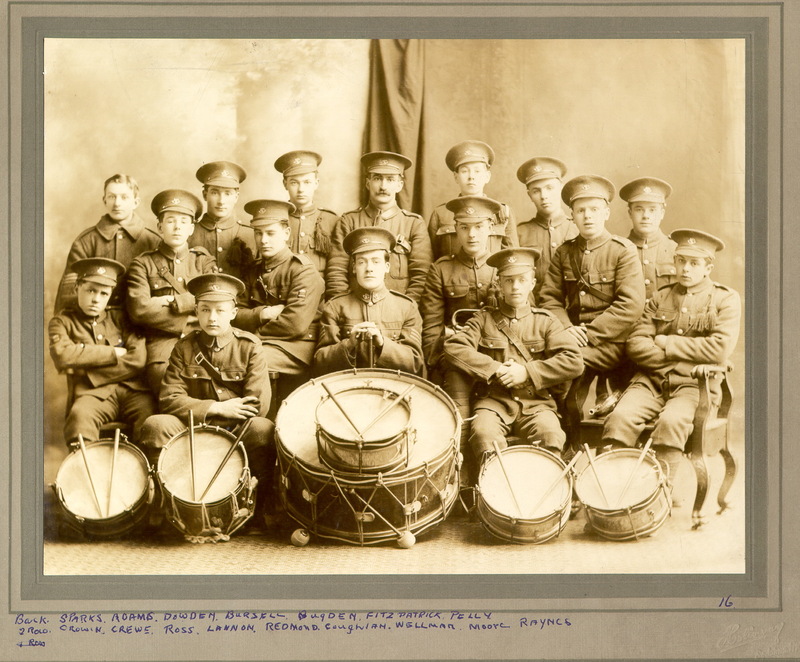 It has gone through many changes in organization and size; for example, after the formation of the 2nd Battalion, the Band consisted of two sections, one located in Grand Falls-Windsor, and the second in St. John's. The Band is now located in St. John's, and has an established strength of 35 members and a number of volunteer auxiliary members. It has made a number of recordings, and is well represented at many public events, ceremonies, and concerts. Many members of the Band maintain a life-long association, indicated by the fact that some members of the Band continue to play as volunteer associates after having to retire due to army age restrictions. It is not clear when the Band was first formed. The first mention of a bugle and drum band in World War 1 is made by Col. Nicholson in The Fighting Newfoundlander. 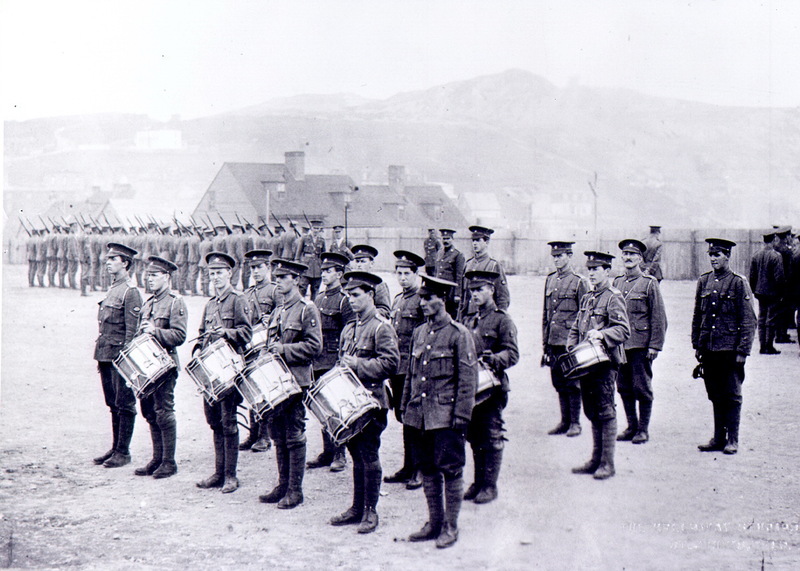 A bugle and drum band was playing at Fort William in St. John's in 1915, but there are no details on its origin or composition. It is possible that the Bugle Band members were drawn from the regular ranks of infantrymen for band duty on suitable ocassions, because there is no record of a sub-unit establishment for a Band at this time. 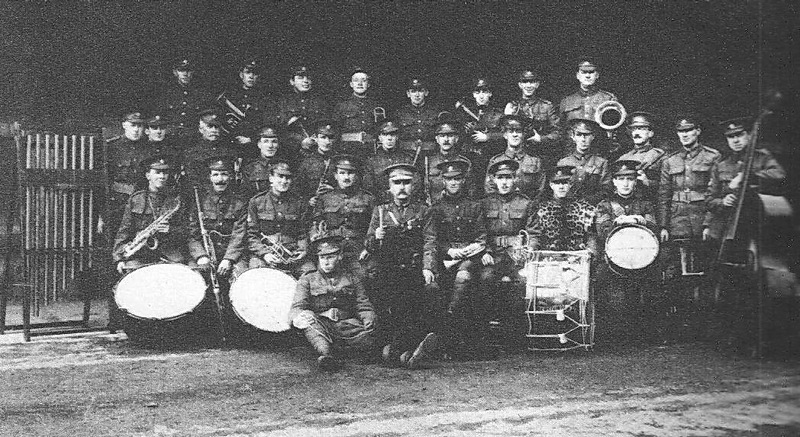 During the time the First Contingent was stationed at Fort George, Scotland (December, 1914), a full set of brass band instruments was donated to the Regiment by Sir Edgar Bowring. These instruments remained in storage and the drums and bugles continued to serve as the band. Efforts were then made to form a brass band. Major Whitaker, CO of the Ayr Depot, was able in January 1916 to recruit a resident of Ayr, L.L. Worthington, retired bandmaster of the King's (Liverpool) Regiment, as the Regiment's first bandmaster in the rank of Warrant Officer First Class (WO1). Worthington also brought with him some members of his old band. 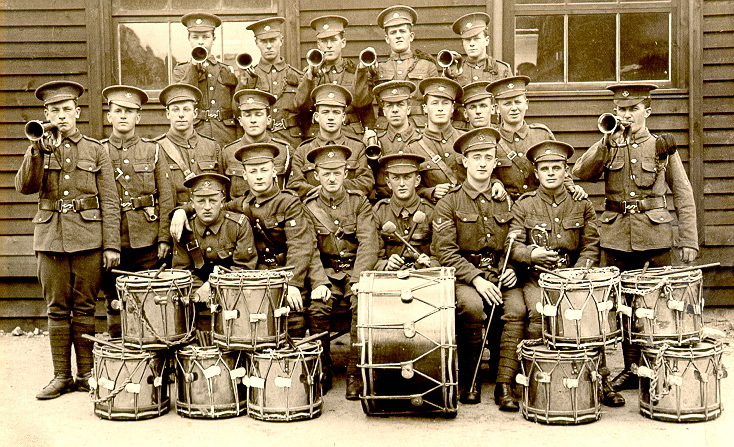 By March 1916 the Band was playing for the troops on the march and at concerts. 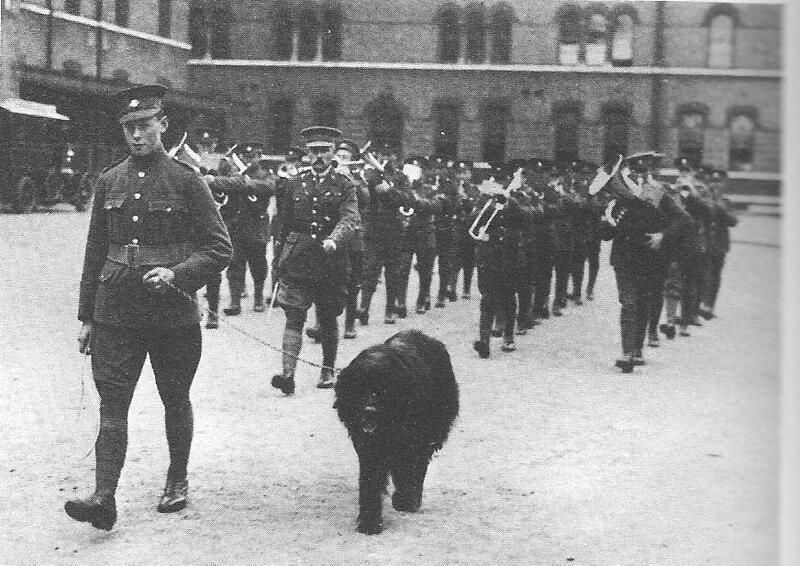 A notable companion for the Regiment was added in April 1917 in the form of Sable Chief, a Newfoundland dog. Sable was presented to the Regiment by a 'Canadian officer who was serving in England'. There are no other details available. Sable marched with the Regiment in front of the Band, and served as the Regimental mascot until his untimely death in a traffic accident in 1918. It is claimed that Sable kept in step on the march, and would rise and stand at attention on the opening bars of the National Anthem, and remain so until the end. home in Canadian Forces Station, Pleasantville, St. John's. over the years and has performed at numerous military and civilian functions. Beaudoin of Belgium; visits by the Regiment's Colonel In Chief HRH The Princess Royal Princess Anne in 1991 and again in 2010.
homes, arenas and shopping malls. and dance bands across Canada.